Home > Financial > How Many Fathers Don't Pay Child Support? In 2007, the Liberal Democrats revealed that the Child Support Agency (CSA) had failed to collect maintenance in 34% of cases where one parent owed money. That figure was 4% higher than it had been in 2006, meaning more parents (and figures aren’t separated for men and women) weren’t paying their child support. In fact, in 2006, the Agency had a backlog of some 330,000 cases and over £3 billion in unrecovered debt. That’s a lot of unpaid maintenance, and a lot of people walking away scot free. By late 2008, the CSA calculated the figure of those not paying to be 31% – that’s still over 172,000 cases. Much of the problem actually lies not with the parents – most of whom are men – but with the CSA itself. Since its establishment it had undergone problems, which were worsened by the installation of a new computer system that was supposed to speed up the process, but ended up causing chaos. That’s not to say the CSA has been completely ineffective. In 2006/7, it prosecuted 485 people for non-payment of maintenance, and took the controversial step of naming and shaming on their website another 40 whom they’d taken to court for providing false information or no information at all. They added details of the proceedings in court and the sentences received by the guilty, all of whom were men. Among that large backlog of cases – which has been reduced, and the CSA estimates it can recover almost £2 billion of the money owed – are all kinds of people. There are professionals, labourers, those who earn a lot of money and those scraping by on benefits. There are some, like prisoners, who simply can’t pay, some who won’t pay because of disputes with their ex or over paternity, and those who are waiting to have their cases adjudicated. In Northern Ireland, the figure owed by absent parents is £3.6 million, and a stunning £41 million in South Yorkshire. In other words, there’s no set demographic to those who owe, and they’re actually not all the deadbeat dads the tabloids claim. Many will pay, but there are also those who will have to be taken to court. What Happens to Those Who Don’t Pay? If a non-resident parent doesn’t Pay Child Maintenance, and the resident parent uses the CSA’s collection service, the Agency will contact the debtor to try to arrange payment, including arrears. It can access information from HM Revenue & Customs to try to track people down. Where they can’t reach an agreement with the person who owes money, they can impose late payment penalties (up to 25% of the amount owing) and arrange to have the money garnished from wages as a deduction from earnings. In some instances, they will take the person to court, although this is generally a last resort. The first thing they’ll do is obtain a liability order, and even then payment arrangements can still be made. In 2007/8, over 19,000 liability orders were obtained in England and Wales. Where the CSA does obtain a judgement, there are a number of possibilities open to them, including the seizure of goods and disqualification from driving, which could affect employment. The guilty would also owe court costs. In total, 35 people were imprisoned in 2007/8 and another 400 got suspended sentences. Although it won’t have any effect on penalties, the CSA was taken over by the Child Maintenance and Enforcement Commission in November 2008. It’s worth noting that the collection of child support is becoming more effective. 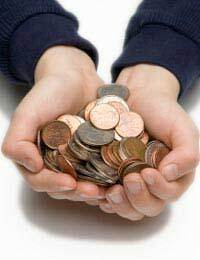 The CSA collected £1.1 billion in the year ending September 2008, benefiting over 750,000 children. Rick, You are 75yrs old, pay the arrears for your children, what you have willingly had so late in life, and you are still refusing to pay at £5 per week. Your disability benefits will be more than £25,000 pa tax free. As Bob Marley says: ‘Once a man and twice a child, and everything is just for a while’... I hope you get well to meet your sons’. Hi I had a drunken one night stand with girl that has slept with half the town and not to mention my family... It was agreed that she would get the morning after pill, as time went on I found out she didn't so I contacted her and she said I have nothing to worry about as the child isnt mine JOB DONE!! I'm a father of 4 children that I have FULL custody of and my new partner has just given birth to our beautiful little girl... Boom out the blue this one night stand chick starts contacting my partner saying Ive been cheating on her and that she has a baby that is mine... I'm worried that she's going to try and clean me out as she has threatened already... Surely she can't get away with this ??? My child is now 14 years old and I have been separated from her father since she was 6 weeks old. I was set up in the old child maintenance system and received nothing from her father who tells me he is a self employed millionaire. I was informed that the new csa was in place a couple of years ago and to forget previous costs owed (12years worth of payments)and that they would start the process again. I’m told that he can not be traced on HMRC but they continue to make attempts. I do receive regular communication now from the CSA team - which basically tells me that he has not paid therefore I will not receive payment. I’m a single working parent, I work full time and overtime. The part that I resent is having to work the extra hours which means i have less time with my child and not alway able to be home for her after school.I have always promoted contact however he chooses not to see her. He has told me on numerous occasions that he does not give me money because I will spend it on myself - what a joke !! Neither does he buy her anything or send gifts for birthday or Christmas. He had the cheek to tell my daughter that I was tight that I only give her £10 a week pocket money. Nonetheless, I have my beautiful girl who I see grow everyday.Peace out to you non paying parents. Name and Shame these faceless parents who shirk responsibly to contribute to feed, clothe, educate and provide a home to their children. Start a movement & shame them all. Avoid Avoid at all costs getting into a relationship with anyone who doesn’t support their children - they’ll do the same to you . Eventually Karma will visit them.Their children will despise them on reaching adulthood & realizing the deprevation they inflicted on them & their struggling parent. Will they feel guilty & live the rest of their lives with regret- they deserve the same neglect and hardship they’ve inflicted. Too late then - the irreversible damage & cruelty is done. I am a 76 year old man my children are now 22&19. I owe (according to the csa) several thousand pounds in child support payments. I have a terminal illness and only have a small private pension £180 per month,from this I pay £20 a month to the csa. I have received a letter informing me that I have to increase my payments to £35 per month. I have no savings, and my state pension and pension credit are both paid into my wife's account for her to manage our outgoings my wife is my carer and has my power of attorney, as I cannot manage my own affairs. I cannot afford to pay the extra money that the csa want from me. Any help please. Ive been dealing with csa since august 2018. What a complete joke the system is. I got advised to try a family based arrangement. This dad wouldnt even pay £50 a month since april. He owes me £5000 already for paying for his mums medical bills. Never paid a single penny for any of his children. In arrears on the court order with his ex wife for her two children and i get told i have to agree to him voluntarily making payments. Finally in august call again and this time csa get involvedbut first payment wont be till 24th october!!! Plus the arrears have been miscalculated and the letter sent out to him with the mistake. Its a complete joke. Its also against the law to state misinformation in the letters sent out stating both parents agree to direct pay when in my case i specifically asked for collect and pay as this father is so dishonest. I dont really understand the point of this. Two parents make a baby so why does one get away with not contributing 50%? I think it’s discussing how my partner has to pay the CSA money for his ex who denies him to see his children made loads of lies up and allegations which aren’t true and the court went ahead with the hearing while he had to have an emergency operation. How are we supposed to survive and bring our own child up who is younger then his other two. The system is so wrong. At the end of the day the system is broken. I fought long and hard too get a court order too see my children 3.5 days a week, which means we have equal time with the children. I buy them new clothes there school things and such. However somehow I'm still expected too pay CSA I have never missed a payment but I already buy all there things so she uses the money on her self now how is that fair. I would stop buying there stuff n let there mother use the money but she wouldn't n they would be walking round in rags. So broken. Child maintenance is based upon and calculated from taxable earnings only. The thing that frustrates me is with CMS is you (recieving parent) have to pay an upfront cost of £20 to open a claim, for that claim to take ages. The backpay is allowed in dribs and drabs, if they were forced to pay a lump sum from the date payments started to the date they actually paid then it would be less likely that they ( paying parent) would take months to pay knowing they can pay the bare min when they do! My sons dad was contacted via letter and phone days after me calling to open claim ( they located him whilst i was on the phone with them! ), as he messaged me moaning about it! He has missed 6 payments so far, plus arrears with CSA from nov 2016 which i still havent recieved! Even though he works full time plus overtime he only has to pay 30p back a week on top of weekly payments. In other countries like america paying parents are jailed for not paying. CMS seems to be so laid back and not fussed about doing anything other than giving paying parents chance after chance to pay which suprise suprise the majority dont, so they (CMS) should use common sense that obviously they wont be setting up payments anytime soon. A part of the law should be made easier so they have more power & leeway to chase parents who dont pay and give them a hefty fine each time! Maybe then they will comply instead of living their lives and forgetting their children. For the record i have never stopped him seeing his child, that was his choice! I paid £20 for CSA services. I had a letter saying he was in the 0 catagory and didn't have to pay a penny. I never really wanted to claim CS in the past as I thought it was unfair as he was on Jobseekers. Unfortunately, when he did start work he was earning far more than myself as I was working for the same company. This ended up being a DWP error and hadn't closed his claim when he started work almost 3 years ago. I was advised to contact the dwp fraud department to kick-start closing the claim immediately as he saw it as a way out of paying maintenence if he didn't do it himself. The dwp informed me that as soon as it closed the systems at CSA would trigger an alert. CSA also said they couldn't get inland revenue information regarding his income? Really? I was in the same company and he is definitely a tax payer. Now he doesn't seem to realise that because I had to quit work due to a serious attack on our daughter, we are struggling to high heaven with UC. I've almost had to bite the bullet and visit a food bank. Still NO word from CSA. His income is more than mine by 1/3. He keeps saying he can't afford to pay as he has a lot of bills. I've ended up with 5 ccjs and about £17000 debt because I can only afford basic food gas electric and rent. I have informed him we need help. I've recently found out he applied for 2 houses in my street which cost £300 more rent than where he is now. I have battled and I'm still battling narcissism. He has money, it makes him feel superior that he's doing better than his ex wife, whether children are affected or not. And now, this weekend I needed up collecting my daughter from his house due to her being in tears on the phone and describing what is clearly known as emotional abuse that he was doing to her in front of his friends and showing them messages from me asking for money for food and explaining that I have to stretch UC amongst 4 people while he gets way more and spend it on all sorts to keep up with the jones' to show off to friends. We have a total of 3 children in my house. One is already stated that she never wants to go to her dad's again. That's one, when do I get blamed, when does this end? And when the hell are CSA going to move off their backsides and do something about this? Child maintenance and child access have no bearing on each other. All non-resident parents (men and women alike) are deemed financially responsible for their children (if they are earning) whether they see them or not (through choice or otherwise). There is separate recourse for non-resident parents to see their children if the resident parent refuses. This has to be done via mediation or court. The court will always decide what is in the best interests of the children (as you can imagine every case is different and has to be looked at individually). It is not based on whether the non-resident parent pays child maintenance or not. Nice to see how many dads pay for their kids. Meanwhile over here is the mother that pays the father who never sees his kids. He owes me so much and that isn't even including the CSA payments he hasn't paid. I'm in the process of getting divorced, he hasn't seen the kids for 5 years (his choice we've always had an open door policy). We've been separated for 7. I'm paying the courts, I'm paying the solicitor and he's said the only way he will sign the papers was if I paid him. It was either pay him £50 or pay the courts hundreds because he wouldn't sign. I haven't received maintenance since I left and £7 a week just isn't worth the stress to be honest. I've helped him out financially in the past and at the debt he's in with me at £7 a week it'd be 4 years until we even broke even. Luckily I have a good job and an awesome family that pays for holidays for us and clothes my kids. They also help a great deal with caring for them too!TBH I find it shocking when any single father speaks about wanting to see his kids and genuinely means it.I'm just not used to that! I personally would be happy with a father who didn't pay a penny but was a good dad and would contribute to expenses such as trips, clothes etc when needed. I can see why fathers have their back up about this issue though but you have to understand it costs X amount to raise a child so long as your child is not going without your money is going on the child regardless of what the other parent is doing! Hi Guys, Just after some advice before I contact the CSA.. I lost touch with my two kids for a number of years, when I finally found them, their mother started a case with the CSA. All good, I had a visit from a guy who took copies of two payslips and a payment scheme was set up. The problem back then was that the payslips were taken over a time when I had the chance to work overtime (probably the one time I had earned a decent wage). They set up a deduction from my wages because of what they said I owed in back payments, again taken from two current wage slips, this was too much and I ended up loosing my job and moving out my flat.. Fast forward to present day and over the last four years I have managed to get myself trained and am now in a resonally well payed job. The kids are both now in their 20’s and I’m still paying an agreed amount with their mother to cover the arrears. Sorry about the long back story, my issue is the original backdated amount was wrong, I don’t mind paying back what I’m due but I’d like it to be fair... Once this is payed I can give the kids the money directly each month so the sooner I can pay this debt the better. My question is if I contact the CSA now and ask for a re-assessment will this be done on my current wage or can this be done on the actual time period when the kids were away. During this time I’d put myself through university and worked mostly part time, so obviously the debt would be minimal, also I had another child who hasn’t been taken into consideration, also if they re-assessed me on now on my current wages it would probably work out I’ll owe more! What do you think my options are? HiI need advice at the end of my tether with the CMS. My ex was in the forces has not seen my child since he was 3 (he is now 16) and his choice not mine. I made the switch from CSA in November as we were told was a better service. We have not received a single payment since the switch CSA battled for a long time to get the deductions of earnings order and this was never reviewed I didn't want to rock the boat and was happy with the £300 per month for my child. Since we went to CMS they upped the payments and told me that they had to give my ex a chance to pay which surprise, surprise he didn't just ignored all letters etc. Now the CMS have said nothing they can do because my ex has now left the forces and they can't trace him through HMRC. So now have to go to the enforcement team its been with them over 2 months now still no further forward. I feel I am banging my head against a brick wall and to make matters worse they send me letters constantly about missed payments and that they are looking into it. (its like rubbing my nose in it, that this is what you should have had)Just don't seem in a rush me and my child are struggling just does not seem fair. Has anyone been through the enforcement process and been successful? The arrears are in the 2k area now I just want some light at the end of the tunnel I am sick of battling or do I just try with my wages and doing all the overtime and cutting back to get us through each month and just forget about it. I'm exhausted mentally and physically the stress is it really worth it after 14years since the relationship breakdown still controlling how we live is crazy. This is nothing to do with CMS, it is more to do with the fact your children's father has left the forces and is not traceable. CMS relies upon HMRC to give information on tax paid, so it can collect payment. As child maintenance is based upon earnings/income, if your ex is no longer registered to pay tax and is not earning or paying tax via HMRC, then money cannot be collected. CMS can attempt to collect the arrears once your ex has been traced. However, is someone doesn't want to be found, there are many routes they can take i.e leaving the country. CMS will attempt to trace the father, but it's not necessarily easy if the father is doing his best not to be found. Hi I need advice at the end of my tether with the CMS. My ex was in the forces has not seen my child since he was 3 (he is now 16) and his choice not mine. I made the switch from CSA in November as we were told was a better service. We have not received a single payment since the switch CSA battled for a long time to get the deductions of earnings order and this was never reviewed I didn't want to rock the boat and was happy with the £300 per month for my child. Since we went to CMS they upped the payments and told me that they had to give my ex a chance to pay which surprise, surprise he didn't just ignored all letters etc. Now the CMS have said nothing they can do because my ex has now left the forces and they can't trace him through HMRC. So now have to go to the enforcement team its been with them over 2 months now still no further forward. I feel I am banging my head against a brick wall and to make matters worse they send me letters constantly about missed payments and that they are looking into it. (its like rubbing my nose in it, that this is what you should have had)Just don't seem in a rush me and my child are struggling just does not seem fair. Has anyone been through the enforcement process and been successful? The arrears are in the 2k area now I just want some light at the end of the tunnel I am sick of battling or do I just try with my wages and doing all the overtime and cutting back to get us through each month and just forget about it. I'm exhausted mentally and physically the stress is it really worth it after 14years since the relationship breakdown still controlling how we live is crazy. I have been a single parent to my child for 12 years I left my ex when she was one years old due to domestic violence him being the perpetrator. There is a contact order in place so that he can see my child monthly but he has seen her approximately once or twice a year. I always make my child available for contact but he continually lets our child down. I know it’s a separate issue from maintenance but some men use contact as an excuse for not paying so I’m just making the point that I promote contact despite not being given maintenance. I am educated, I have a degree and masters i work full time and overtime - approximately 45 hours a week just to cover basic living costs. I am forced to spend longer hours working to make up for unpaid maintenance which means that I am less available for my child. I have reported to csa but not had a penny and they have asked me for a fee to reinvestigate circumstances - which although is a small fee it’s ridiculous. I no longer contact ex to ask for maintenance firstly as it clearly makes no difference as he does not pay and secondly I actually think he enjoyed the control of me asking him for something. When I did ask him he would say that I would spend this on myself. Csa have calculated that I would get 40 per week if he paid - how could this not be spent on the child?this would cover school bus pass, dinner money and weekly pocket money only. The ex has a job so why do so many get away with not paying. Csa have not progressed with any action for the last 12 years. What I resent the most is having to work more than full time, being away from my child for longer hours, not being home for my child after school. Parents that don’t pay ought to be ashamed of themselves. Despite all this I feel blessed as I watch my child grow everyday. My son’s father has completely disappeared and I have no idea where in the world he is. Surely there has to be some better way of tracking these men, such as by their passport (if they have one) and then REMO can contact the country they are in to try and get the money back that way?? Your ex is under no obligation to supply clothes for your children when they come to stay with you. Most non-resident parents have a separate clothes and belongings that cross both houses. Child maintenance is paid to help support your child's day-to-day needs. Do I have any chance of getting a child support from ex-husband who is basically homeless? He lives in a caravan and has no regular job. No big assets. At the time of working he paid only £80/month for a few months. Can he be in trouble for that in future? Child maintenance is based upon earnings and tax paid via HMRC. If your ex is not earning, then he will not be deemed to be responsible for paying child maintenance. My ex hasn’t paid a penny in child maintenance since 2011. Our child is 9 years old - so the majority of the child’s life. We went to Court in 2010 and agreed an order of £500/month. But he has defaulted since 2011. He then took the matter to the CSA who wrote to me to say they were reducing the court agreed sum to Nil. I left the matter alone for some years because I knew they battle was going to be extremely difficult. I then returned to the CSA around 2015 and never got anything. Now the case is transferred to the CMS and they have ordered £1/day maintenance and have not been able to collect anything. The ex opens companies regularly and then shuts them down soon after. 10 companies in the last 5 years. His self assessments are 3 years late so the CSA and HMRC have no figures to work with. His assets, I believe, even the tenancy to his home, are all put through his companies. Is this a complete dead end? The level of sacrifice I make (Willingly) is still unfair and hurts. He is happy to see the child anytime but never to put his hand in his pocket. I never received anything through our divorce settlement and turned down the judges offer of his pension and spousal maintenance. I say this so that no one cynical feels I’m not giving the bigger picture or taking facts out of context. Any advice would be greatfully received. @Mud - I can't quite see your logic here. I'm not sure why your ex's threat to quit work is an issue if you are not receiving anything from him anyway. This is effectively bribery, which you should ignore. If he is earning and paying tax through HMRC, then you are entitled to make a claim through CMS. If your ex gives up work, then you have lost nothing (as you had nothing in the first place). If your ex gives up work, he will not receive benefits, so unless he has plenty of capital to live on he too has to manage somehow. It sounds more of an idle threat. I would be tempted to call his bluff.